Show off your smarty pants at our weekly Trivia Night! We’ll test your knowledge of the useless information you learned watching Jeopardy, binge-watching Netflix, and studying for high school geography. 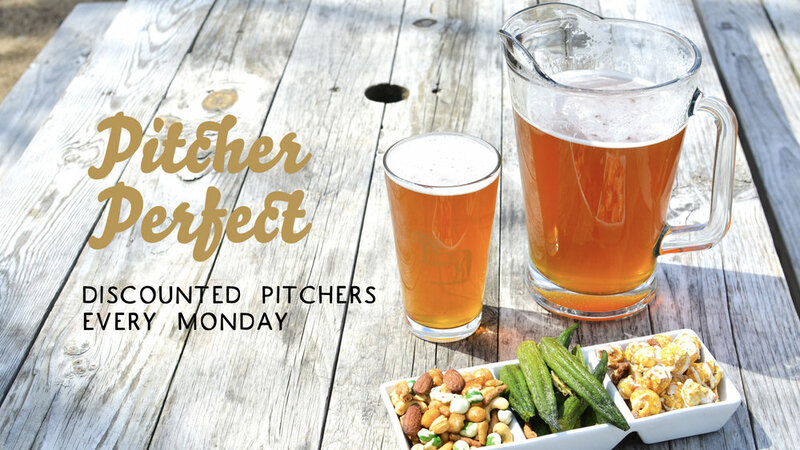 Grab a pint and put your noggin’ to good use every Monday night on the patio! Click here to learn more! 1:00pm. CLICK HERE to buy your tickets! PONY RIDE: Every second Tuesday of the month! The Pony ride is a social, leisure ride that begins at 6:30pm The Bull in CCB Plaza in Downtown Durham (201 Corcoran St, Durham, NC 27701). After winding around downtown, it ends at Ponysaurus Brewing Co. where pints and prizes await. We don't have to be in Punxsutawney, PA to celebrate Groundhog Day! Join us under the heaters on the patio to watch this Bill Murray classic! 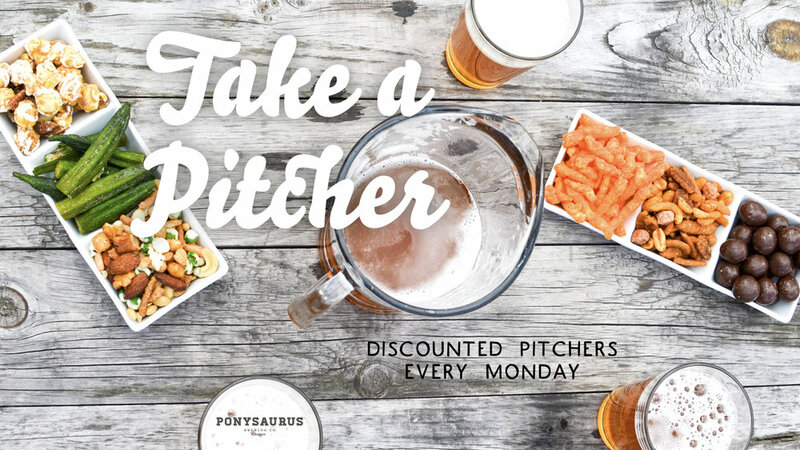 Monday Night Special: $15 Pitchers! Treat yourself at Ponysaurus Brewing Co.’s First Annual Cookie Bake-Off! Show off your baking skills, drink delicious Ponysaurus beer and compete for the prizes of, you guessed it, more beer! Oh, and trophies, cause who doesn't like trophies? All amateur bakers welcome. Our esteemed panel of judges will determine the grand prize winner as well as 2nd & 3rd place but we need your help too! Taste all of the cookies and determine which is your favorite. This event benefits the Durham Crisis Response Center during Sexual Assault Awareness Month. Make a suggested cash donation of $10 to taste & vote! Click here for the details & to RSVP! Join us & FLIP NC on Election Night to watch the results on the big screen, drink some Don’t Be Mean to People beer, and play some games! Today we are launching our collaboration beer and capsule line with Runaway! Be the first to drink the hoppy flavor of The Runaway IPA and buy a rad hat/shirt/pair of socks. There's beer. There are $1 snacks. There's a movie on the patio! Click to see full lineup! Spread the love this Valentine’s Day by showing your affection for your community! Enjoy a pint in the taproom and bring a non-perishable canned good for PORCH-Durham. Click here to learn more about PORCH-Durham and RSVP on Facebook!